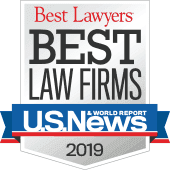 Lubin & Meyer attorneys William J. Thompson and Elizabeth Cranford have won a jury award of $11.48 million (including interest) on behalf of the family of an eight-day-old twin baby girl who died from a massive bowel infection while at Beth Israel Deaconess Hospital in Boston. It is the largest jury verdict in the region for a medical malpractice wrongful death trial. Jurors found a doctor and nurse practitioner negligent in the care of the infant who died of necrotizing enterocolitis. For more information on the details of this trial, see the full trial lawyers report at: Jury Finds Negligence, Awards $11.5 Million in Newborn's Death. New England's top medical malpractice law firm with attorneys licensed and practicing in Rhode Island. © 2018 Lubin & Meyer PC - Lawyers licensed in RI. Picture Window theme. Powered by Blogger.